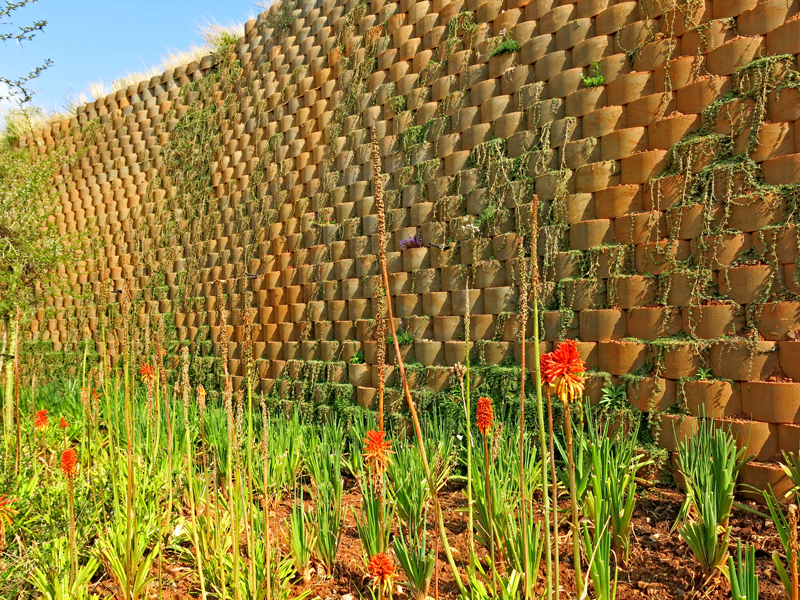 Terraforce > News > Heavy Retaining > - Composite Walls > 9/2016 – Green and functional hard landscaping > Wick drains were installed on the cut face at 45˚ every two metres and these channel water into a sub-soil drain. Wick drains were installed on the cut face at 45˚ every two metres and these channel water into a sub-soil drain. The two other walls, one 95m long and three metres high and the other 91m long and two metres high, were built to secure embankments on the fringes of two parking areas.